A suicide bomber aged 15 has killed himself along with four egypt’s security forces, three civilians on Tuesday at restive North Sinai reported by the interior ministry. Among those killed is a six-year-old child. The Islamic State groups are claiming the attack. “The suicide bomber aged 15 blew himself up” in a busy market area near a police station in the town of Sheikh Zuweid leaving seven dead and 26 wounded, an interior ministry statement said. IS, which has waged a bloody insurgency in the region, released a statement on its social media accounts claiming responsibility and praising the suicide bomber. The Egyptian security forces have been targeted by extremist groups since the army overthrew Islamist president Mohamed Morsi in 2013. Hundreds of soldiers and policemen have been killed in a string of attacks that has also claimed the lives of civilians, particularly among the minority Coptic Christian community. 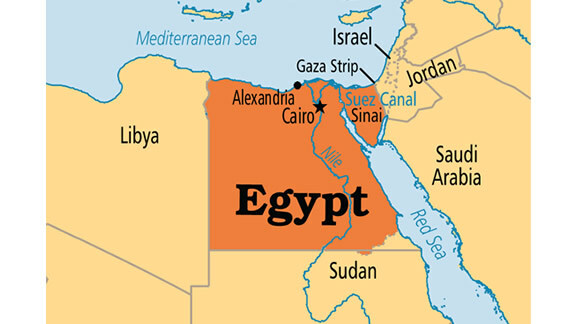 Egypt in February last year launched a military offensive against IS in the Sinai peninsula. Around 600 suspected jihadists and about 40 soldiers have been killed so far, according to official figures. Tuesday’s deadly attack comes days after gunmen opened fire on a police vehicle in Cairo killing a police officer and a civilian driver.